Disability discrimination occurs when individuals with a disability (employees or applicants) are treated unfavorably because of that disability. The Americans with Disabilities Act (ADA) helps protect people with disabilities from being discriminated against. Become familiar with the definition(s) of "disability." Comply with employment provisions of the Americans with Disabilities Act – including those that apply even when employees or applicants don't have a disability. Learn how to respond to an ADA-related situation. Prevent disability discrimination in your workplace. 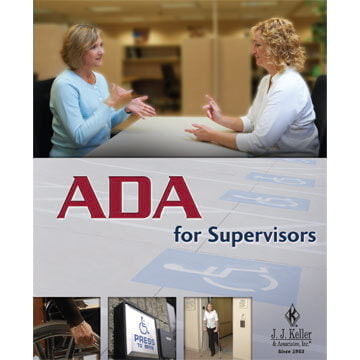 Provide essential training for your supervisors covering ADA and discrimination. Explains ADA accessibility guidelines related to hiring, training and compensation. Make important information visible for your employees. 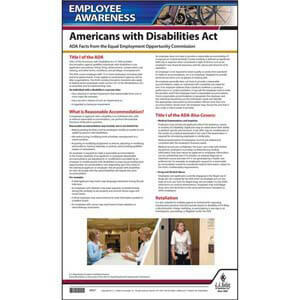 Employers must be aware of the requirements of the Americans with Disabilities Act (ADA) and be prepared to provide accommodations for employees and applicants with disabilities. The following information highlights the importance of making accommodations – and gives helpful pointers on how to do just that. Number of people with a disability living in the U.S. as of the 2010 census. Percentage of people age 21 to 64 with a disability who were employed. The process for making reasonable accommodations is no different in principle than implementing workplace procedures designed to build productive work environments. As with all such procedures, open lines of communication and clearly defined steps help to facilitate the process and achieve positive outcomes for both employers and employees. Notify employees: You are required to post notices describing the employment provisions of the ADA. Having a process in place for facilitating accommodation requests can be helpful, as well as taking steps to ensure that all employees are aware of and understand it. Facilitate requests: If an individual requests a work-related change because of a medical condition, this is an accommodation request. Generally, he or she is responsible for informing you of the need for such a change. 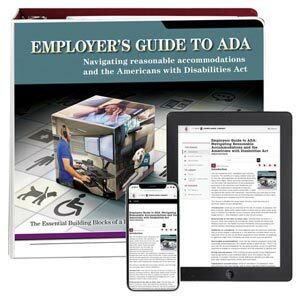 Individuals do not, however, need to use the word "accommodation" or "ADA," but they must indicate that they have difficulty carrying out their tasks due to a condition. Analyze jobs: To facilitate the accommodation process, it is prudent to develop and maintain, for each job, a detailed description that lists essential functions and duties. Such descriptions should focus on a job, not a person. For example, a warehouse position may require that boxes be stacked on shelves. The essential function of this job is that boxes be stacked, not that a person lift boxes. Identify functional limitations: When a reasonable accommodation is requested, you and the individual should discuss the employee’s functional limitations (when not obvious), and determine where those limitations intersect with his or her duties. Again, the focus should be on a person's essential job tasks and the physical functions necessary to complete them, not his or her disability. Typically, such functions can be described with "-ing" action verbs: walking, pushing, reading. Determine potential accommodations: Sometimes, an employee is aware of the modifications he or she needs to perform certain tasks. Other times, devising an effective accommodation requires creative and collaborative thinking. Accommodations are not limited to adjustments to a physical work environment or a transfer to a different or light-duty position. They may involve changes to the way a job is done or structured, modified workplace policies and procedures, adjusted work schedules, swapping or eliminating marginal functions, or perhaps even changes to corporate culture. 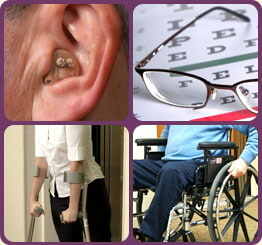 They may also entail obtaining assistive technology or services such as readers or interpreters. Determine reasonable solutions: The ADA requires you to provide reasonable accommodations for applicants or employees with disabilities unless doing so would cause undue hardship. Undue hardship refers not only to financial difficulty, but also to accommodations that are unduly extensive or disruptive or would fundamentally alter the nature or operation of the business. Determination of undue hardship takes into account the nature and cost of the accommodation, the business' overall financial resources, the number of persons employed, and the accommodation's impact on the business and its expenses and resources. Fellow employees' or customers' fears or prejudices do not constitute undue hardship. Make the accommodation: You have the final say on which accommodation is implemented, based on factors such as cost, effectiveness, and business feasibility. However, accommodations work best when both you and the employee participate in the process and the employee's needs and preferences have been taken into consideration. Remember, you do not have to provide a particular accommodation that an employee wants (unless it's reasonable and medically necessary); you need to provide one that is effective and will not pose an undue hardship. Monitor effectiveness: Not all accommodations produce the desired outcome. If a particular accommodation is not working, you and the employee should start the process again, working to identify an effective accommodation. Like most sound management practices, the accommodation process is enhanced by collaboration. When employers and employees work together and think creatively about how various tasks are accomplished, they may uncover strategies that lead to a more positive and productive workplace for all employees.